The very first Super Liquors opened its doors to the public in 1933, the same year as the repeal of Prohibition. Over the years, our locations have shifted around the greater Boston area but our service has remained consistent and reliable. Our extensive knowledge of the retail liquor business combined with values that have been passed down over 4 generations of family ownership and operation, have brought us to the place we are today. We take great pride in providing our customers with the best quality of product and service, just as our elders did. 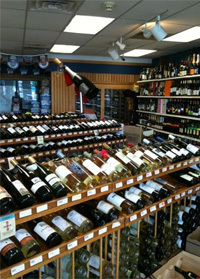 At our three current locations, Framingham, Hyde Park and Stoughton, you’ll find an extensive inventory including all of the beer, wine and liquor brands you know and love at great, low prices! You will also find lesser known labels coming from smaller, but equally impressive breweries, distilleries and wineries from all over the world. If you are looking for a product that we do not carry, we will do whatever we can to accommodate you. If you have any questions or requests, please feel free to email us at the location closest to you. Thank you for your business and support, we hope to be seeing you soon!